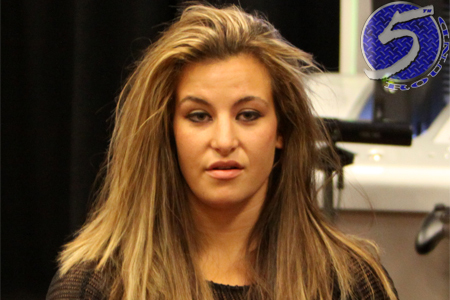 On Monday evening, Strikeforce added a bantamweight scrap between former women’s champion Miesha Tate (Pictured) and Julie Kedzie to their August 18th event. This marks the first time Tate has stepped inside the cage since losing her title to Ronda Rousey. Not only did the reigning 135-pound champ snap Tate’s six-fight winning streak in March, but she nearly (or did, depending upon who you ask) snapped “Takedown’s” left arm in two. Kedzie is also looking to rebound from a loss. “Fireball” had won four straight before dropping a unanimous decision defeat to Alexis Davis last July. “Strikeforce: Rousey vs. Kaufman” takes place inside Valley View Casino Center in San Diego, California.